We think the Extravaganza Bracelet definitely lives up to its name! Isn’t it awesome? This is such a AWEOME bracelet!! I’m almost “addicted” to it!! 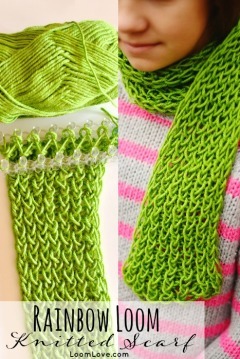 Does anyone know how to send pictures of your bracelets and their tutorials to loom love ? YOU POSTED THIS COMMENT ON MY BIRTHDAY!!!!!! I made it, and I loved it! It’s SO cute! Thanks LoomLove! if you do take recommendations for your blog… i thought you may like the FLEXAFISH – Flat Hexafish. 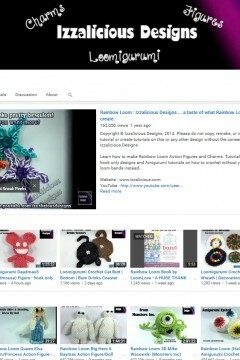 This is a good tutorial by justins toys. I inserted the link. Cool bracelet and good job!!!!!! Thanks so much for posting this video. It’s awesome and makes the whole thing easy. I’ve made four of these now and I love them. Can’t wait to make more. Hi Loom love, I’m also making some loom bracelets, and I’m glad that I found your website because it inspires me from making these bracelets. I just want to say that you rock!!! ? i LOVE this its so pretty and the sides look super cool. 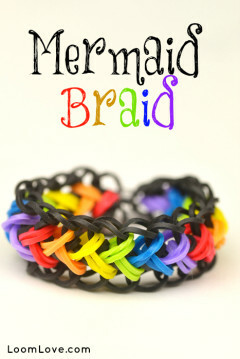 BTW i also love the rainbow bracelet u made loom love! 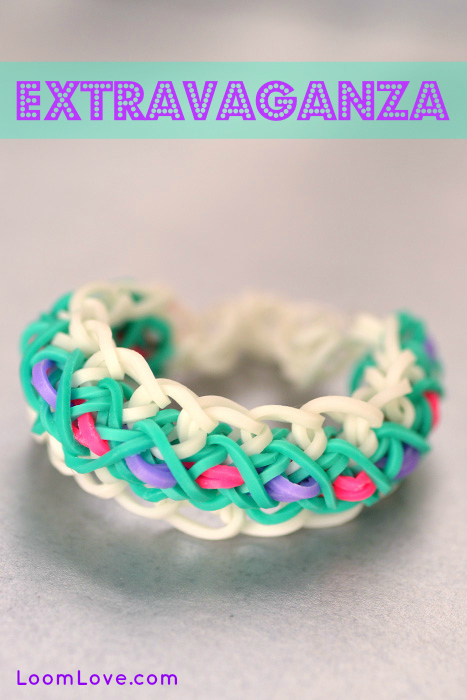 Yah i created five bracelets how do i send loomlove the tutorials and pictures anyone knows please reply. wow I love this bracelet it looks so cool and I love your website its awesome it has so many different types of bracelets. good job and keep up the great work!!!!!! Thx this braclet is really pretty and it’s also really easy to make I got it first time! ???????????????????????? My friend made me this bracelet and it turned out so well. She used orange for the outline and rainbow for the inner.It looks so wicked. i love this bracelet!!! it’s my favourite!!! 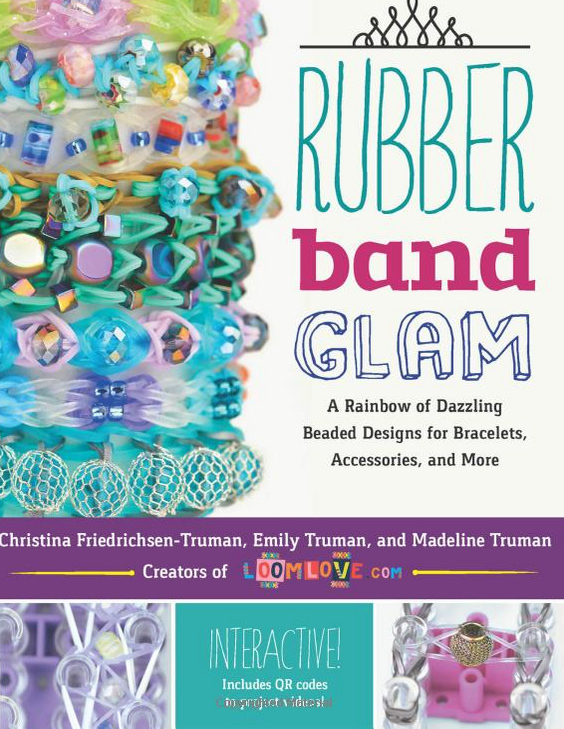 Awesome bracelet just started making rainbow looms a year ago and now I have my own website ???????????????????????????????????????????????? No other word to discribe it except AWESOME!!! 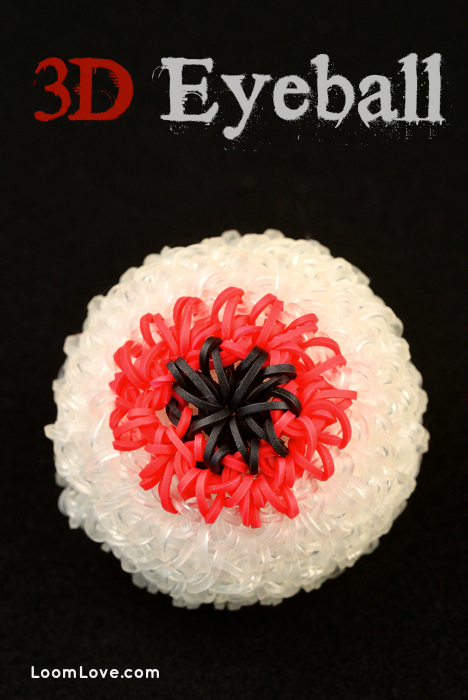 It is a little small but still really cool design. I love this design!!!!!!! I have at least 4 of these designs!!! 🙂 Thank you sooooo much for doing this tutorial!!!! This is SUCH a cool bracelet!!? It’s also really cute! I made 4?